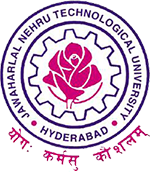 JNTUH B.Tech (CCC) 1,2,3,4 Years Regular/Supply Exams Notification, Time tables, Instructions, exam centres Feb 2017. Regular / Supplementary Examinations for the B. Tech (CCC) I Year, (09, 08, 07 & 06 Batches) II Year (09, 08, 07 & 06 Batches), III Year (09, 08, 07 &06 Batches) & IV year (09, 08, 07, & 06 Batches) will be held during February -2017. The students who appear for the above examinations may note that the examinations are commencing from 06-02-2017 and informed that the on-line registration for University exam will be carried out as per the time scheduled given below. The B. Tech. (CCC) students who wish to apply for the University examination are informed to note the new procedure for making the Exam fee payment and for the submission of the application for the Tech (CCC). Examinations. 2. Select the regular / backlog subjects, year-wise, for which the registrations are to be performed using the appropriate menu service. 3. If not uploaded earlier upload your pass-port size digital photograph in the same registrations portal. Ensure that the quality of the digital photo is very good. The uploaded photograph must be in the jpg (JPEG) format size below 50kb. If it is in other format, it should be converted to JPEG format. 5. Make the payment online, either by using the Visa / Master credit / debit cards or by generating the SBH online challan. 6. The photo copies of PDF receipt generated in case of payment by payment-gateway or the University copy of the SBH challan incase of challan payment should be taken. 8. You are informed to contact cell no. 9989980170, 9704033577 if there are any registrations related problems. 9. The students are informed to download the hall-tickets from the same portal using the ‘Download Hall-ticket’ service from 5 days before the start of examinations. 1. All the candidates are informed to carry their valid identity cards, while writing their examinations and whenever they visit the SCDE office for any query or for getting any certificates / marks memos. If the validity of the identity card is expired, the students must renew their identity cards immediately. 2. All the students must note that the examination fee is Rs.150/‐ per theory subject / lab exam (for I to IV years) and Rs. 150/‐ for viva‐voce (for final year only). 3. ALL THE STUDENTS SHALL ALSO PAY THE FEE FOR MARKS MEMO @ RS.10/‐ PER YEAR, ALONG WITH THE EXAM FEE, WITHOUT FAIL. 4. The total amount payable towards examination fee should include exam fee for all the Theory Subjects, Viva‐Voce fee, fee for memorandum of marks @ Rs.10/‐ per year and the Late Fee, wherever applicable. what is CCC stands for ?? Hllo sir I’m 2008 batch student I have 4 backlocks I’m working in soudi Arabia I’m trying to attend this June supplymtry if I cannot come I can write my exms in nxt year plzzzz kindly give help me sir Im in a big tension sir plz give me reply ???? ?